This is a picture of us in our Jeep. 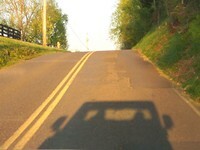 …Actually a shadow of us in our Jeep! I snapped this photo as we were riding around in our Jeep Wrangler Unlimited — with the top down. 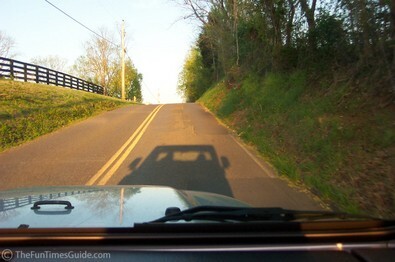 This is us… just motoring on down the road… in a Jeep shadow!